After 4 years offering ACT and SAT test preparation services in our Hudson, OH location, we are excited to announce a change that will allow us to support ALL Estrela students across the U.S. and worldwide. We have partnered with Revolution Prep, an established online tutoring company whose "full-time tutors are trained to drive concept mastery while also boosting confidence and building lifelong learning skills." 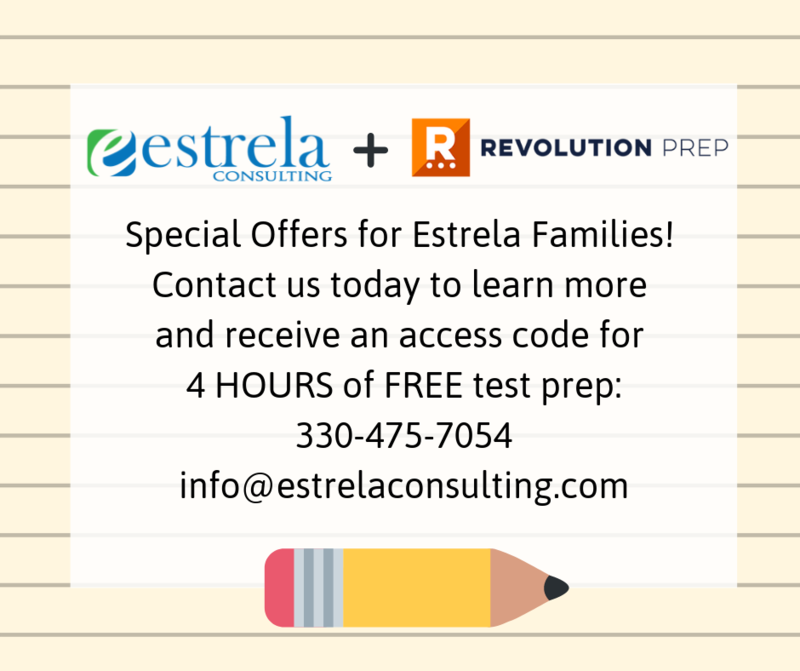 While test prep will no longer be offered "in house" by our tutors, families referred by Estrela will receive some exciting offers from Revolution, including 4 FREE HOURS of test prep! Contact us for more information and to receive a special access code.